About Us - Schmitz Electric Co. Call us now for all your electrical needs. Nicholas P. Schmitz (Harness Nick) started a harness shop when he came to Adams, MN in 1889. During the late 1920s, his son Leonard started an electrical business out of the same location. The second generation built up a progressive business in the electrical field, adding plumbing and heating the 1940s. After Leonard’s death in 1946, his sons Joseph and Herman took over the business. Herman and Joe ran the business together until the mid-50s when Herman left to work elsewhere. In 1970, Joseph’s son Michael became his business partner until Joseph’s death and the Incorporation of Schmitz Electric Co. in 1974. Joseph and Michael were among the first electrical contractors to use computers and PLC’s to control electrical functions for industry. They began using the combined skills of electrical, plumbing and heating, in which the manufacturing of heated liquid fat application tanks & systems (F.A.T.S.) was developed in the 1980s. Upon Joe and Mike’s deaths, ownership passed to Joe’s wife Helen, Mike’s wife Mary, and Joe’s living children Patrick, Peter and Louise. 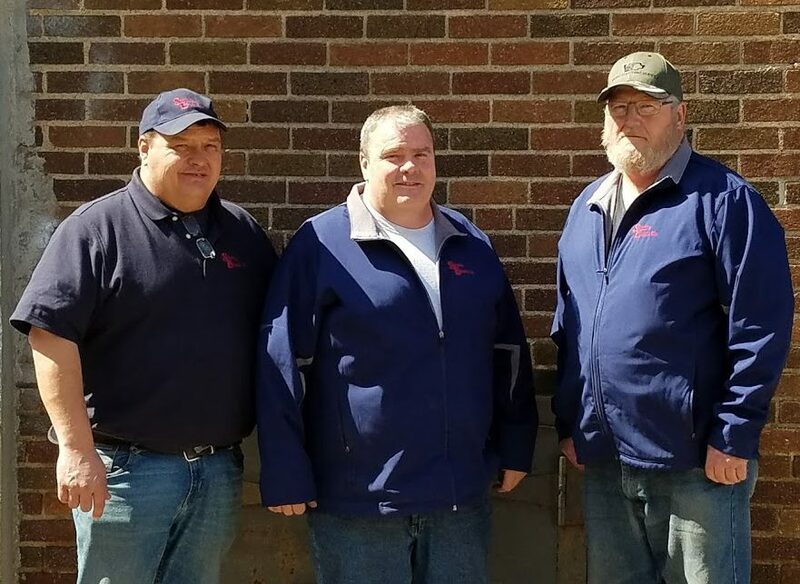 As was the tradition in the Schmitz family, Mike and Mary’s sons David, William and Alan became licensed master electricians. Present day owners are Peter, Alan and David Schmitz. © 2018 Schmitz Electric Co.